​​Dr. 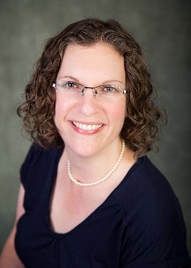 Sarah Buydens completed her Ph.D. at the University of Victoria and is a Registered Clinical Counsellor. She spent a decade as a senior Trauma Centre therapist and 15 years in private practice. Sarah has also been a counselling instructor, having taught for 10 years in undergraduate and master’s programs at the University of Victoria. In addition, Sarah teaches and is a past Regional Director for the UBC School of Medicine. ​In her private practice, Sarah sees clients who are seeking relief from symptoms such as anxiety, depression, and PTSD. She also helps individuals who are experiencing challenges, grief and loss, attachment issues, and difficulties with life transitions. Sarah applies her extensive experience and training to work with her clients to create an individualized plan to alleviate their symptoms and help them reach their goals.